Read about the difference, and find the best mat for your needs. Foam rollers are a fantastic tool to build core strength and seriously challenge your balance. You won’t be playing house… but having these really helps, whether in yoga or Pilates. 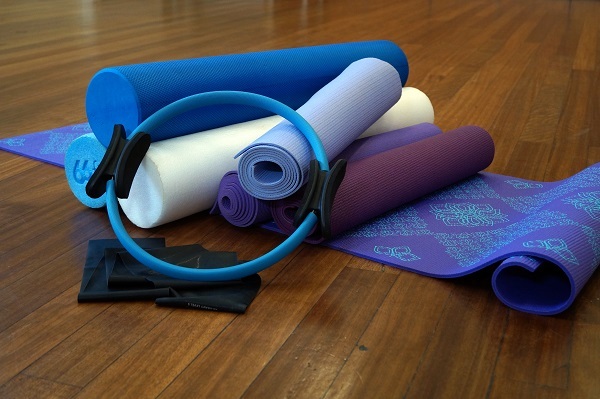 Bands for Pilates, belts for yoga — simple as that. These will make your savasana doubly enjoyable.